we're celebrating these new-found fall-feeling nights with sweaters and blankets and bare toes out back...hiding away in the teepee that matt and a friend built for us sunday night and listening to max spin the wildest tales about yetis and having a crush on the maid from the movie clue. p.s. thank you guys so much for the thoughtful comments on the vaccine issue. it helped so so much! i know it can be a sticky subject, but i have to say how proud i am of the kindness and consideration and room that was given by everyone to be able to share their thoughts without bringing on judgement. i'm truly thankful for this little village of ours that we share. i ordered dr. sears' book today and am really excited to delve into it....especially on the alternative vaccine schedule. our biggest fear with the vaccinations has been the amount given at one time at such an early age. it's such a comfort to know we can set a shot schedule that we feel comfortable with! i'm also super curious about the homeopathic vaccines as well...so thank you again for broadening my understanding and options with all of this! now, to follow phoebe and max off to bed...goodnight, goodnight friends! Yes! I read that other girls comment...I have heard good things about the homeopathic vaccines. A good alternative to look into. cool! what a fun time that looks like! ps you look amazing in those jeans! that first photo just makes me too happy. That teepee is awesome. Wow. Yes, my neighbors would think we were crazy too if we had a teepee in our yard. My daughter's father gifted her one for her seventh birthday last year and we had it posted smack in the middle of our living room for a while. It was such a cozy hideout. And yes, the vaccine issue was handled so respectfully. Says something about the community you are drawing around you with this blog. I know a very popular blogger who recently wrote a disclaimer about not wanting to "referee" any comments about vaccinations. I felt this was a bit of an insult to her readers. So, kudos to you, Katie. You are a Lady, with a capital "L." No more needs to be said. Looks like you guys are having a blast! On the topic of vaccines (which I realize is a very personal decision), we thought a lot about doing the alternative schedule but ultimately went with the conventional one because the shots themselves were more traumatic than anything else and it was truthfully better to have them administered at fewer visits. We are in a very progressive area (Boston/ Cambridge with tons of diversity due to schools and very open minds) and our pediatrician is wonderful and very pro-holistic medicine. She was very helpful in presenting all viewpoints and options, but honestly much of the concerns regarding vaccines have been debunked and we felt it was the best choice for our family, though not an easy one. The two months were the worst and it was smooth sailing after that. Good luck finding what works best for your little babe. 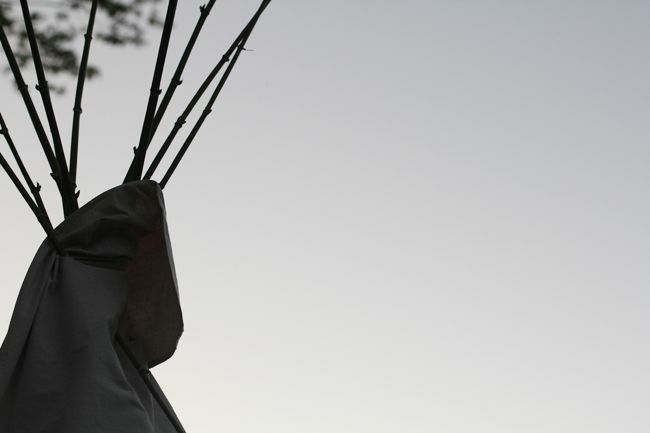 You have your own backyard teepee? That is AMAZING! i wanna come over. and copy your outfit. That looks like an awesome time! 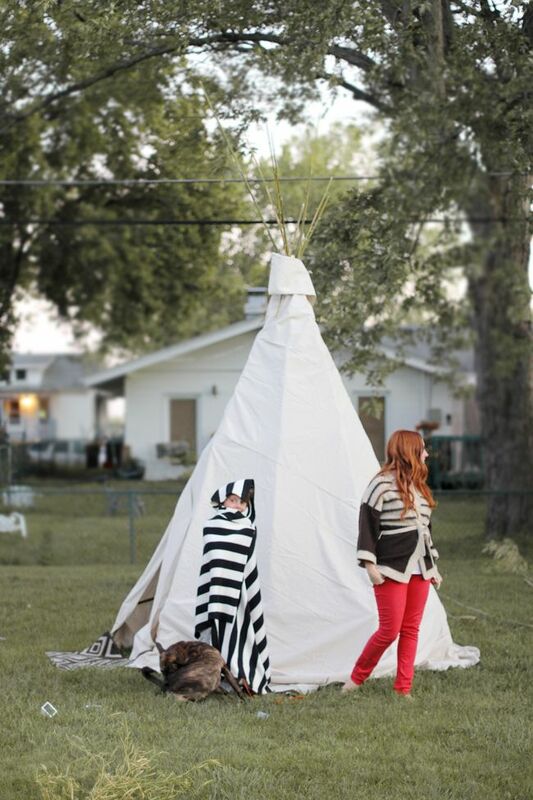 I love that it's a homemade teepee, I just posted about a DIY Teepee as well. 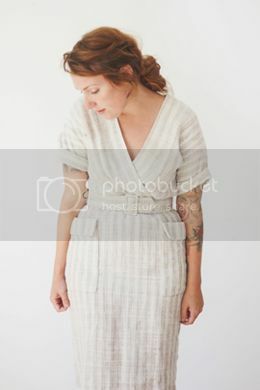 I really want to make one! 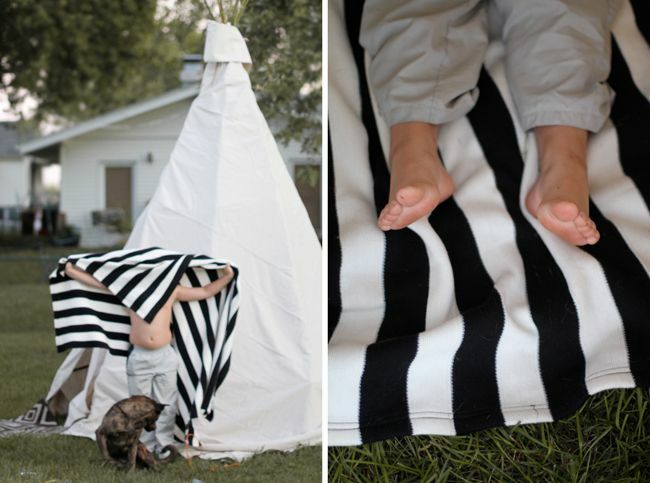 A homemade teepee looks like so much fun! That looks like such a special and lovely evening! That teepee is legit too!!! love it! Such a wonderful teepee. 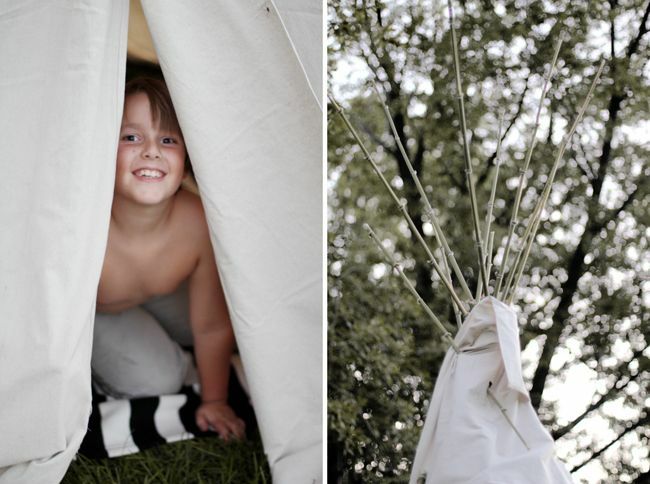 We always built tents in the backyard growing up- but never a teepee. Now I almost feel cheated. :) PS- I have, and LOVE, that striped Ikea blanket too! oh, this is too adorable. That's the finest teepee in Ohio I've ever seen! 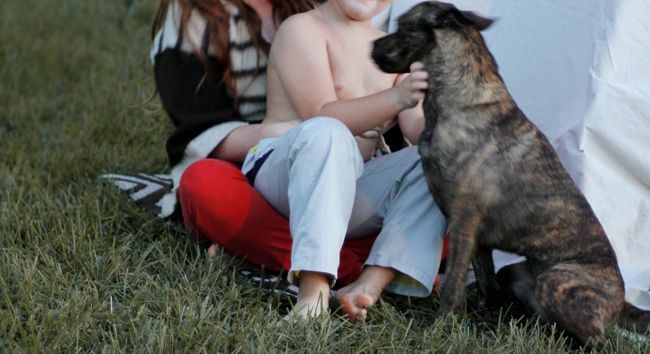 Katie, your blog is my favorite. Love it so so so much. Your life is beautiful. Love the teepee! I missed the vaccination post but just my two cents: I'm a nurse so I'm very pro-medicine but, like you, I hated the thought of bombarding my baby's tiny immune system with so many vaccines all at once. With my twins and my youngest, I followed Dr. Sears' schedule and I felt so much better about it ... we didn't have any fussy days or any adverse reactions.